Van Morrison - Keep It Live !!! The Grammy Award-winning Irish singer, songwriter, author, poet and multi-instrumentalist, has been a professional musician since the late 1950s. He is now considered to be one of the most unusual and influential vocalists in the history of rock and roll; Bob Geldof called him “the one true genius in Irish music”. 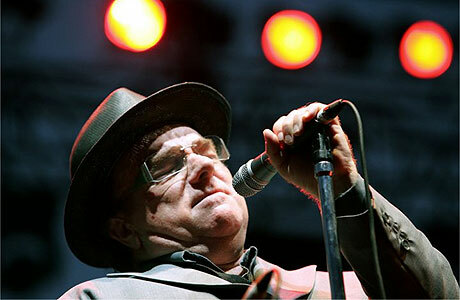 Van Morrison rose to prominence as leader of the band Them, who had the 1964 hit 'Gloria'. Later turning solo, his highly successful career has included the classic album 'Astral Weeks', which is often featured in lists of the best albums of all time, and the singles 'Moondance', 'Brown Eyed Girl', 'Domino' and 'Wild Night'. Top Concert with good balance of oldies and newbies.